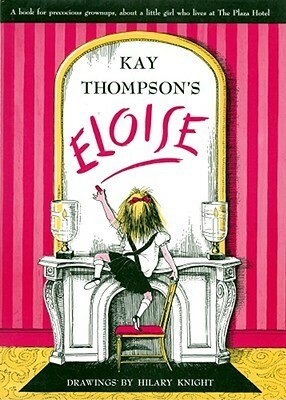 A children’s novel that’s sure to give you a good laugh, Thompson’s Eloise is a story about a very curious girl with a very large imagination. Eloise, who lives at The Plaza Hotel, is an imaginative young girl who takes us through a day in the life of one who lives in such a grandiose place. Mischievous and inquisitive, Eloise will make those of all ages giggle at all the shenanigans she gets herself into throughout her tale. Does Eloise finish all her responsibilities at the hotel before the end of the story? Will her journey make you wish you lived at The Plaza Hotel? Thompson’s Eloise has been on my TBR list for FAR too long. During my co-op experience in a kindergarten classroom, I remember spotting this book on the shelf and the teacher mentioning the children adore it. Obviously, I forgot about wanting to read it until I saw it at Chapters a couple of months ago. Did I enjoy reading about the mischievous young Eloise? Thompson’s children’s story combined with Knight’s adorably funny illustrations makes Eloise an absolutely fantastic read! She’s feisty and a troublemaker, yet you can’t help falling in love with Eloise’s quirky and rambunctious ways. Hilariously enticing, Thompson’s picture book will have you in a giggle fit before you know it. Eloise is a tale about a rather bold and adventurous girl sharing the same name as the title, who tells readers her responsibilities and adventures in her home at The Plaza Hotel. From greeting guests to fooling around with her Nanny, there’s no end to the shenanigans this 6-year-old gets into. A fast paced page turner, this is a wonderfully quick and fun read for children whose attention span may be as small as Eloise’s. Some reviewers and critics have remarked on how Eloise is an inappropriate book for children, as it gives off messages such as being troublesome is okay and being a nuisance doesn’t cause anyone harm, since Eloise receives little to no repercussions for her actions. As a lover of Children’s Literature, I beg to differ. There are many television shows and novels that show rambunctious children as overactive and meddlesome, yet children don’t become so simply by watching this; there’s a lot more to parenting and behavioural development. In my eyes, it’s simply a funny tale about a very hyper girl who literally can’t stand still for more than 10 seconds. Fun fact: Eloise was originally meant more for adults rather than children. It wasn’t until it’s re-release nearly a decade after it’s original release date that this became classified as a children’s book. This may be why some adults get a vibe that this isn’t meant for children…it originally wasn’t. Many studies suggest that this was about teaching parents the consequences of bad parenting and what happens to children who get away with too many mishaps. The characters mainly revolve around Eloise, her Nanny, and other people she meets throughout the hotel such as visitors and those working at The Plaza Hotel. Eloise is an absolute hoot, though I’d definitely lose my head if she was in my personal care. Her imagine runs wild, constantly bringing her to undiscovered worlds and timeless adventures all in the safeness of her home and bedroom. Though she doesn’t really develop in the story, readers learn more and more about her daily activities and the fun she has. The other characters that appear in the tale may not be as prominent as Eloise, but they definitely add to the story. Eloise’s Nanny is one example of this, for she’s probably one of the few people who can handle her chaotic ways. Calm and collective, she knows how to keep Eloise under control without Eloise knowing so…smart lady. Something that I found added to the love you have for Eloise and the characters in the story is the illustrations. Knight’s drawings of Eloise getting into trouble and the reaction from the people she interacts with in the story completely transforms both the story and the characters! You laugh at the expressions they give, such as Eloise’s teacher having a fit when Eloise doesn’t obey and listen during her lessons. Though the colours are rather consistent (pinks, yellows, blacks and whites), the images still feel vibrant and full of a story within themselves; it’s as though you don’t even need the written language to tell Eloise’s tale, which I think is phenomenal for children. The artwork reminded me of Dr. Seuss’s works, simplistic and intricately detailed at the same time…confusing, I know. What really makes this children’s novel a delightful and astonishing read! Thompson fully grasps the essence of the mind of a child, fully captivating you to think you are reading a tale actually said by a child rather than that of an adult. For instance, Eloise will talk about something in a very serious manner, then all of a sudden mention something completely random…such as how Kleenex box makes a good hat…I totally tried this afterwards. Not only is the language itself tremendously amazing, but HOW the story and sentences are written make Eloise a fantastic piece of literature. There are run-on sentences and very little grammatical punctuation. When one reads this out-loud, you start speeding off as how a child would when they grow excited and MUST tell their story without taking a breath. Her thoughts flow from one to another, sometimes making little to no sense whatsoever…to an adult anyway. I’m completely blown away by this in-depth writing style, which I think is highly missed and underrated. Thompson’s Eloise was an absolute delight to read, one I think many people would greatly appreciate and enjoy. It’s literature such as this that demonstrates how superb children’s books can be, even smaller pieces of literature such as Eloise. The symbolism and meaning intertwined with the wittiness make this a remarkable piece of art that I firmly believe people underrate. Will you read Eloise? Great review. LOVE the Supernatural gifs! Awe thank you! I love Supernatural…now matter HOW corny it gets, I HAVE to watch it…no idea why lol! Same. I’m a little behind, but my wife and I just recently watched the episode where the high school was putting together the musical, and we thought, “Crap! Filler episode.” We ended up loving that episode. Such nerds. Started and caught up in 1 year? But… how? I couldn’t catch up in a year and I’m 9 seasons in! I remember loving this book as a kid. When we visit New York City next summer, The Plaza is on my list! I never read this as a kid but I wish I did! I would love to see how I felt about it then in comparison to now. Oooo nice! You’ll have to take lots of pictures. You should borrow or buy the book and take a photo with it and the Plaza Hotel! I really want to do that ha-ha! I want to start travelling more; I’ve been so focused on saving and paying debts that I never really went on adventures. Time to change that! I’m definitely taking a copy with me! 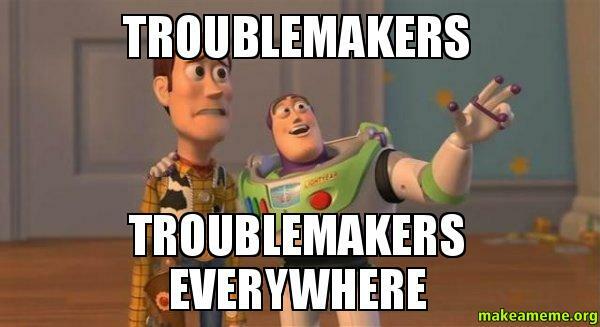 I think my mom has one, from her teaching days. I’m glad you’re saving and paying debts – That’s very important!! 😂😂 that quote at the top! I think I’ll investigate in a copy of this for my cubs. I have a feeling they’ll adore it. I know eh? It’s such a funny little book. I think they would definitely enjoy it! It’s a fascinating read, especially since it was originally for adults and later converted to being a Children’s novel. You’ll have to let me know what you think!